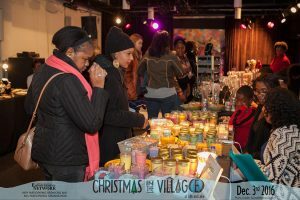 Tis the season to join the Empowerment Network for the 8th Annual Christmas in the Village at 24th and Lake, a community celebration and holiday tradition, on Saturday, December 1st! The event, presented by the Empowerment Network in partnership with the Omaha Economic Development Corporation (OEDC), American National Bank, and KETV Channel 7 Omaha, will take place at 24th & Lake, between Burdette and Ohio Streets, from noon to 5 p.m. It’s an opportunity to purchase your gifts while supporting local businesses, featuring the Holiday Boutique, Styles of Evolution, Fair Deal Village MarketPlace, Members Market at the Union, and other retailers. There will be free toys and treats, face painting and balloon artists, interactive arts & crafts, free mitten and gloves giveaway, live nativity and the popular free horse-drawn carriage rides! Those in attendance will also have the opportunity to enjoy delicious food for purchase provided by food vendors, mobile food trucks and Emery’s Café, as well as sno-balls, popcorn, hot cocoa and apple cider. 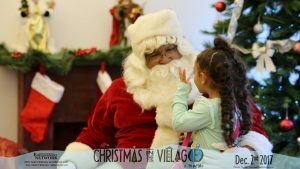 Entertainment will include live outdoor holiday music, gospel & jazz, local artists, church choirs, dance groups, children can visit with Santa and receive a small toy and interact with popular cartoon caricatures. Visitors can donate to the Toys for Tots Drive and, register to win a 32” inch flat screen TV and $100 gift certificates. 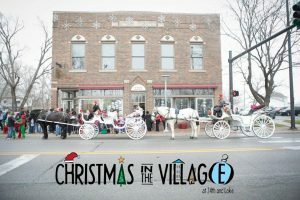 Christmas in the Village is an annual favorite you won’t want to miss! Special thanks to the following sponsors: American National Bank, Omaha Economic Development Corporation, Revive! Omaha, Nebraska Arts Council, Family Housing Advisory Services, The Omaha Star, Veridian Credit Union, Love’s Jazz & Arts Center, Omaha Small Business Network, Urban League of Nebraska, The Sherwood Foundation, and the Holiday Lights Festival. This event is also in collaboration with: North Omaha Arts Alliance, 100 Black Men, Omaha NAACP, CHI Health, Frontier Bag Company, Surreal Media, The Cooler, Black Police Officers Association, Great Plains Black History Museum, Long School Neighborhood Assoc., Neighborhood Action & Fact, Styles of Evolution, Omaha Police Department, Union for Contemporary Art, North Omaha Neighborhood Alliance, LeFlore’s New Look Fashion, Mt. Moriah Missionary Baptist Church, Jesse’s Place, Raleigh Science Project, Pefung Studio, Fliye Arts, Drips Coffee, plus over 70 other local organizations. ©2018 The Empowerment Network. All right reserved.